Hi friends, if you are planning to appear in the any competitive exam such as PMS, PCS, CSS or ant recruitment test of NTS or ETEA then you are now at the right platform. As our admin is topper in an competitive exam. And a principal of an officer academy is also included in our team. You will get best guidance from this website. In this article we have shared 25 super tips for competitive exams preparation (CSS, PMS, PCS). 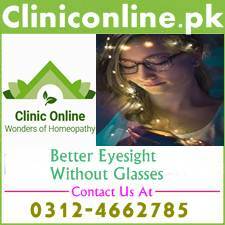 You must stay in touch with us as we striving to provide you best possible tips and guidance. You people are also always welcome to ask any question about your long term and short term preparation strategy for any competitive exam including PMS, CSS, NTS & ETEA recruitment tests and PCS. Our quick response team try to answer each and every query as early as possible. So ask the question and feel the difference in your own website and all other educational websites. 1-Leave the multiple choice question if you don’t know the exact answer because negative marking rule applies on objective questions. 2- Chose the optional subjects very carefully. Try to opt such subjects about which you have sufficient knowledge. Try to opt those subjects which you had chosen in your intermediate and bachelor classes. 3-Just try to understand the basic theme and concept of each topic in spite of learning questions by heart. 4-Take the help of past papers to understand the structure and format of each paper and make your preparation strategy accordingly. 5-First prepare that paper in which you are weak. Make a set of important questions with the help of past papers and prepare them first. 6-Donot leave any subjective question in any paper. Try to attempt all the required questions. 7-Solve the past papers and try to observe time limit too. 8-Preplanned, irrelevant and generic answers will take you no where. 9-To the point and precise answer are more beneficial than irrelevant details. 10-Attempt that questions first which you have prepared well as good first impression will make the mind of examiner about your competency. 11-Donot be panic during the paper and remain fresh and confident. 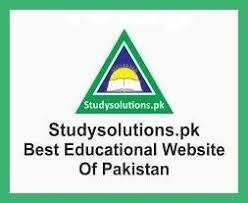 12- Don’t take compulsory subjects like Islamic Studies, Pakistan Studies and Urdu general lightly because lot of students fail every year in PMS and CSS exams due to ignoring these subjects.You don’t need just passing marks in PMS and CSS exams, you will have to get 50 percent aggregate marks to qualify for written test. If you will take History and Urdu as optional subjects, it will be helpful for you in attempting the compulsory papers of Urdu General and Pakistan Studies in PMS. But just for this reason don’t opt these subjects. Your aptitude and your back ground in any subject are more important for the selection of optional subjects. 13-You can avail just 3 chances for appearing in PMS and CSS exams so don’t spoil your chances. Don’t appear in the PMS and CSS exams without sufficient preparation. 14-Generally common students opt the combination of History, Sociology and Punjabi or Education in PMS . Group E, F and G are considered relatively easier. But it largely depends upon every individual’s own choice. 15-Law is a very wide subject even lawyers don’t prefer to opt it. 16- Some students opt English Literature as optional subject without having the back ground of this subject just for the purpose of improving their general English. But its a wrong approach as you need to improve your functional English for PMS exams and English literature has nothing to do with functional English. 17-Spend maximum time on preparation. Take the help of libraries, internet and newspapers for this purpose. 18-General knowledge, creative writing and English grammar/vocabulary are the keys to success in PMS and CSS exams. Improve your these skills. 19-Appear with full confidence in interview and psychological test as without having calm mind and confidence on your abilities you cannot get 50 percent marks in interview and psychological test. 20-Last but not least don’t underestimate your abilities, work hard and leave the result on Almighty Allah. 21-Improve your English vocabulary by reading English newspapers and magazines. 22-Start your preparation with who is who and What is What. 23-Write at least one essay on any subject daily. 24-Join academies just for taking demo tests. 25-Same tips will be applicable for screening tests. If you have liked these 25 super tips for competitive exams preparation (CSS, PMS, PCS) then read our other articles in competitive exams category. Stay in touch with your own website for guidance about all competitive exams including PMS, CSS, NTS recruitment tests and PCS. Do visit other educational websites too and decide on merit that which one is guiding the students in the best way.